the Bastables were looking for treasure in the Lewisham Road. .... The secret of her perennial appeal is the fine balance she strikes between the exotic and the down-to-earth, the exalted and the humorously mundane. Her child protagonists, stolid, bumbling middle-class kids with the best of intentions, narrowly avoid the worst of outcomes through their own good natures and occasional magical intervention. But whether they're dealing with amulets, firebirds, railway porters or incensed uncles, they show a native imagination and shrewdness familiar to every child reader. They know how to coax favours from authority, how to turn away wrath with a soft answer, and how to fall from grace and be redeemed. 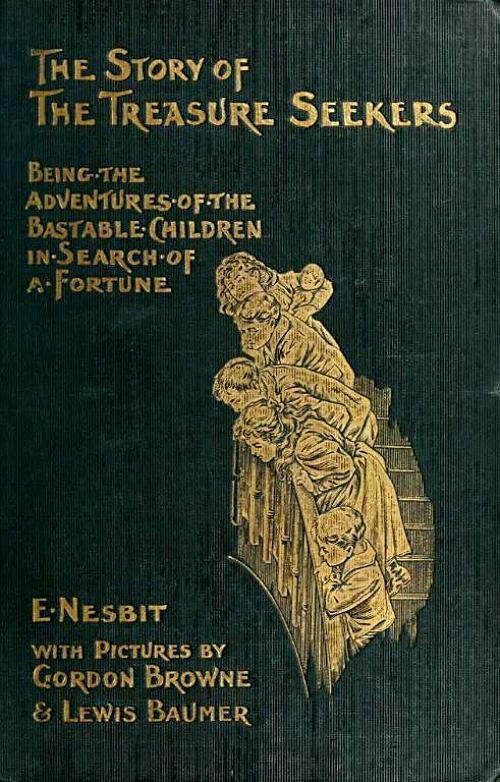 Nesbit also retains her popularity because she wears her learning and her large intelligence so lightly. The Story of the Amulet is rich with her deep, careful research into Egyptology, but she never overburdens her pages or her reader. Like Kipling, she lets her characters encounter towering historical and mythological figures – Caesar, Pharaoh, the Queen of Babylon – in a straightforward way that lets her young reader, too, hold immediate and arresting conversations with the past. Reading her books helped confirm me, and many others, in an early love of mythology, fairy tale and folklore far and wide. Occasional sour notes, like the large-nosed Jewish stockbrokers the children encounter in London, might make the contemporary reader wince, but they don't efface Nesbit's evident joy in the stories and peoples of the world. 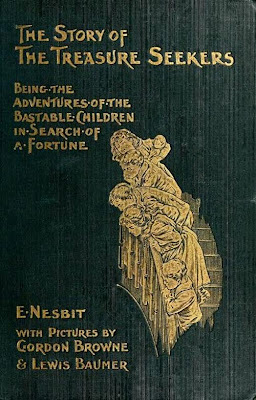 The book links above were not in the source article but added by me and are to the electronic versions of the books at ManyBooks.net where those and a great many other Edith Nesbit books can be acquired without cost.